With XiVO, you can define paging (i.e. 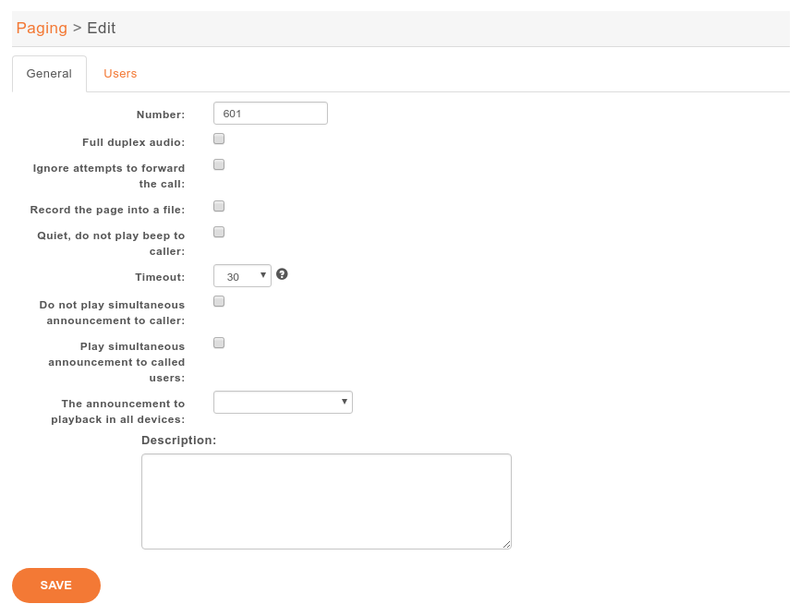 intercom) extensions to page a group of users. When calling a paging extension, the phones of the specified users will auto-answer, if they support it. You can manage your paging extensions via the Services ‣ IPBX ‣ Paging page. When adding a new paging extension, the number can be any numeric value; to call it, you just need to prefix the paging number with *11.